02 Oct 2018 --- The journey for sustainable palm oil is picking up the pace in the food industry recently as big businesses push forward with sustainability pledges, palm oil-free products hit the shelves and the often controversial commodity remains in the spotlight. 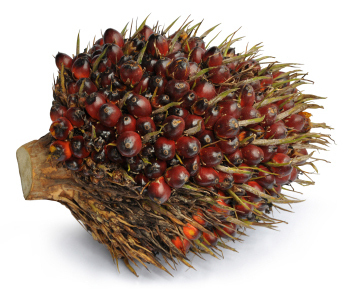 As we head into the last months of 2018, FoodIngredientsFirst recaps on the strides forward for some of the key players in the move towards a 100 percent sustainable palm oil industry. Last month marked the very first annual National Palm Done Right (PDR) Month in the US. PDR is an educational platform which is enlisting industry and public support to help change the conversation about palm oil and how it is produced. Palm oil is claimed to be the most cost-competitive and versatile vegetable oil and makes up the most considerable portion of global vegetable oil production. It mostly comes from Malaysia and Indonesia, but also from within Latin America and West Africa. When produced responsibly, it can support millions of livelihoods globally and reduce pressure on forests and sensitive ecosystems, but when not responsibly sourced, major environmental and social impacts occur. However, the industry knows that public perceptions around the product can be negative, mainly due to its associations with deforestation, child labor, displacement of species etc. Some consumers and particularly environmental campaign groups believe that despite efforts, deforestation-linked palm oil is still finding its way into some brands. Greenpeace has recently investigated how the world’s biggest brands are still linked to rainforest destruction in Indonesia. In its new report – Final countdown – Now or never to reform the palm oil industry – Greenpeace claims that time is running out for Indonesia’s rainforests. - 25 palm oil groups had cleared over 130,000 hectares of rainforest since the end of 2015. - 40 percent of deforestation (51,600ha) was in Papua, Indonesia – one of the most biodiverse regions on earth and until recently untouched by the palm oil industry. - 12 brands were sourcing from at least 20 of the palm oil groups: Colgate-Palmolive, General Mills, Hershey, Kellogg’s, Kraft Heinz, L’Oreal, Mars, Mondelez, Nestlé, PepsiCo, Reckitt Benckiser and Unilever. 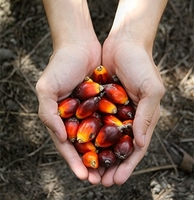 - Wilmar, the world’s largest palm oil trader, was buying from 18 of the palm oil groups. according to a Greenpeace report. Palm oil suppliers to the world’s largest brands have destroyed an area of rainforest almost twice the size of Singapore in less than three years, according to the report. It’s reports like this and the swell of public feeling against the negatives associations of the palm oil industry, that is driving Swiss multinational Nestlé to seriously step up its game to achieve ambitious palm oil targets over the coming years. 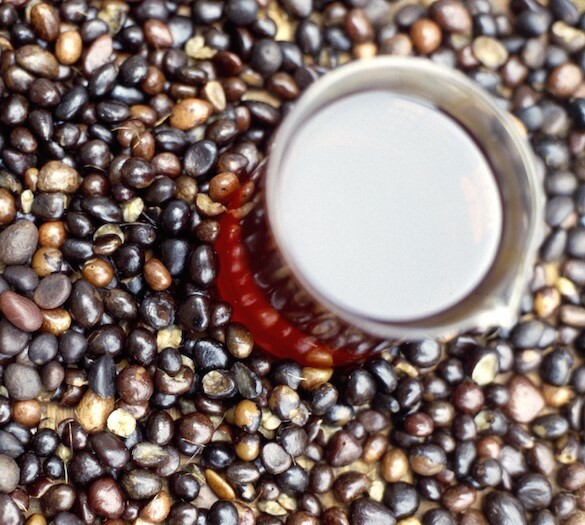 And because effective management of risks requires industry-wide change, Nestlé is also committed to driving innovation and industry transformation. Speaking to FoodIngredientsFirst, a Nestlé spokesperson explains how serious and complex issue deforestation is and how the entire palm oil industry must work together to address it, through greater transparency, inclusiveness, direct supply chain engagement and capacity building. Nestlé’s list of suppliers that have recently been removed or that are in the process of being removed, include DTK Opportunity, Korindo Group, Indonusa, Olmeca (REPSA), PACIFIC INTER-LINK (HSA), PTT Green Plc, Salim Group / Indofood, Noble, Posco Daewoo, Cilandri Anky Abadi. According to company data, 58 percent of Nestlé’s total palm oil purchased in 2017 was responsibly sourced, while 48 percent of its total palm oil bought last year was traceable to its source – that’s some improvement but does demonstrate how much more work needs to be done. By the end of 2018, Nestlé will also become the first global food company to implement a “game-changing” cutting edge satellite system called Starling – developed by Airbus and TFT – to monitor 100 percent of its global palm oil supply chains. The purpose of this system is to identify potential deforestation at an early stage. Starling uses cutting-edge technology combining high-resolution radar and optical satellite imagery to provide unbiased year-round monitoring of land cover changes and forest cover disturbances. Data collected along with its analytics enable companies to manage risks and perform field intervention strategies to drive changes. “Reports by the Tropical Forest Alliance TFA2020 and Forest Trends show that the palm oil industry has achieved more in the last four to five years both in the quality of no deforestation commitments and the implementation of those commitments. The NDPE commitments of 365 traders and consumer goods companies have resulted in 29 percent of Indonesia’s leased out land bank becoming undevelopable, which is equivalent to 6.1 million hectares or 10 million football fields,” says Wilmar. - Two have confirmed that the concessions named in the report do not belong to them. - Eight are already registered on Wilmar’s grievance list since several months ago and Wilmar has been providing regular updates on the cases to Greenpeace since early 2018. - As for the remaining three, Wilmar says that Greenpeace has refused its request since May 2018 for details of non-compliance. Wilmar has, upon receiving the report, registered these cases on its Grievance List. Wilmar also says that Greenpeace, as a key stakeholder, must also contribute to finding solutions to help the entire industry to support and buy only NDPE-compliant palm oil. action plan for a sustainable supply chain. Earlier this year, Cargill also highlighted its action plan for a sustainable supply chain. The company’s goal is to build a 100 percent transparent, traceable and sustainable palm oil supply chain by 2020 and it’s making substantial progress to deliver on its commitments. “By publishing our policy in July 2014, Cargill committed to transparency and regularly reporting on our progress towards a 100 percent sustainable transparent and traceable supply chain by 2020. Our latest report outlines our progress in 2017 and how we will advance sustainability in 2018,” Marie Lavialle-Piot, Cargill's Sustainability Program Manager tells FoodIngredientsFirst. “Traceability to the plantation remains one of the greatest challenges of the industry today. Cargill has already started to collect plantations coordinates within high priority landscapes and will extend it to a global collection by 2020,” continues Lavialle-Piot. Greenpeace pledges to continue its work into investigating the palm oil supply chain while the industry at large also continues to tackle the issue head-on, keen to point out precisely what it’s doing in terms of achieving 2020 goals. With a little more than two years to go, the big question is, will large-scale companies manage to pull off the feat of their own 2020 targets? Palm Oil Sustainability Deforestation Cargill Wilmar International Nestlé Traceability The Forest Trust Vegetable Oil Malaysia Indonesia.